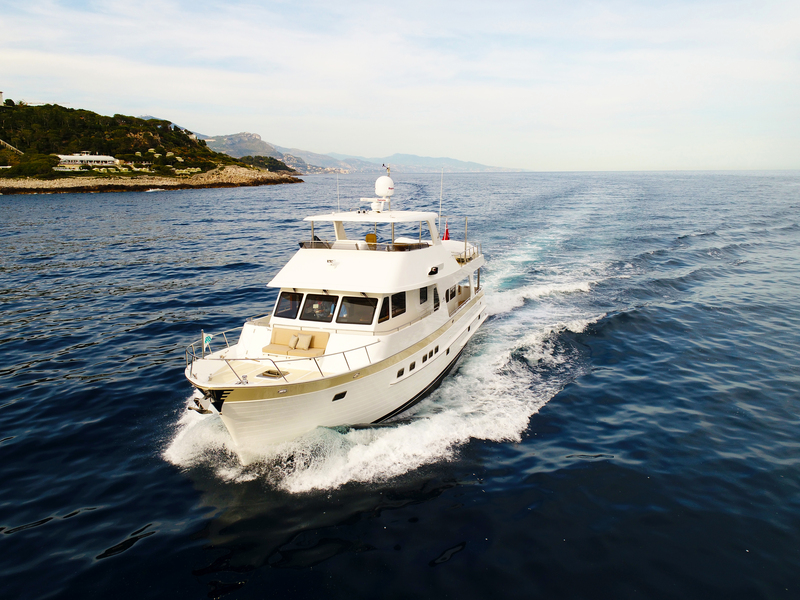 "We were looking for a safe and reliable boat with traditional seagoing looks, modern engineering and technology combined with a very comfortable interior; Outer Reef ticked all the boxes. Other key points for us were the excellent support available in Europe via Outer Reef’s UK office and the degree of customization that can be achieved, making each boat truly unique." Why the OR 630 Motor Yacht? "We wanted a boat that we could manage as a couple but that had adequate accommodation for our children and their families when they were cruising with us. The OR630 met these criteria perfectly. The large boat deck, foredeck seating, full height engine room and spacious crew quarters combined with the 3 luxurious cabins set the Outer Reef apart from its similar sized competitors." What are your plans for 2017/2018 and forwards (recapping for their first summer trip on board this year)? "Our first season will be spent along the Cote d’Azur from our base in Antibes. Next year we hope to cruise further afield to Corsica and Sardinia."